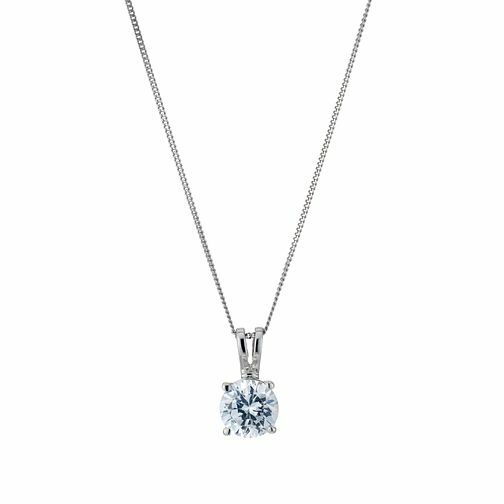 A glistening 1 carat solitaire steals the show, in this exquisite 18ct white gold necklace. The perfect choice for the woman you love. An essential classic for her jewellery wardrobe.